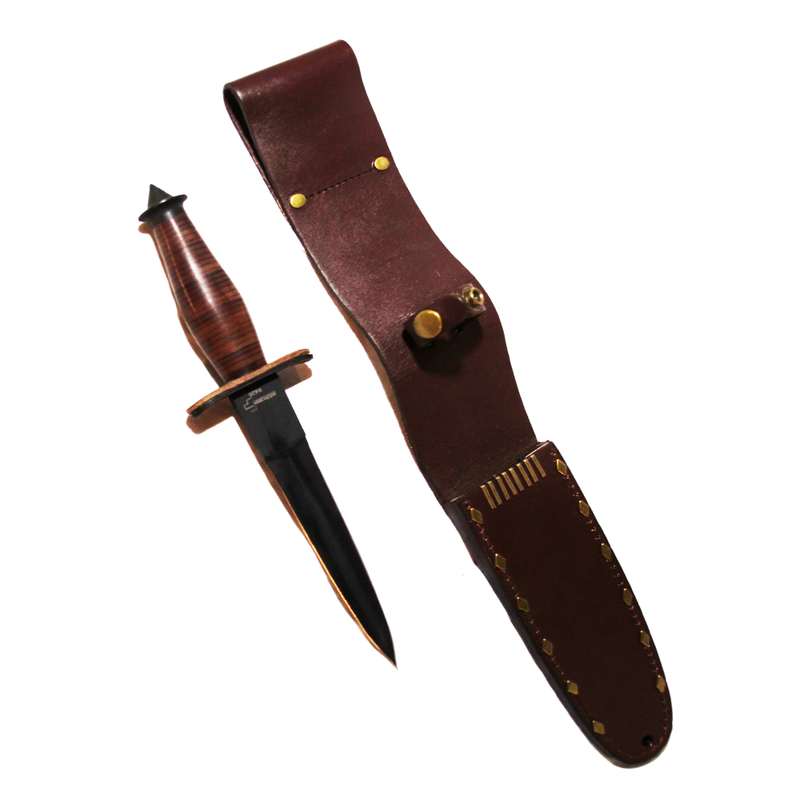 This exceptional fighting knife was inspired by the British Fairbairn-Sykes fighting knives, and served an equally exceptional unit. There is a reason today that the symbols of the 1st Special Service Force, and V-42 remain in use with Special Forces operators in Canada and the US. The legendary 1st Special Service Force was formed in 1942 with soldiers from the Canadian and US Armies, and trained specifically to operate behind enemy lines. They fought an exceptional battle record through Italy and France, striking fear into the hearts of their German foe. The unit became notorious leaving behind their calling card once the dirty work was done, reading: "Das dicke ende kommt noch!" - "The Worst is Yet to Come!" It was the Germans who gave these experts in night time operations behind enemy lines, the moniker, "The Devil's Brigade." 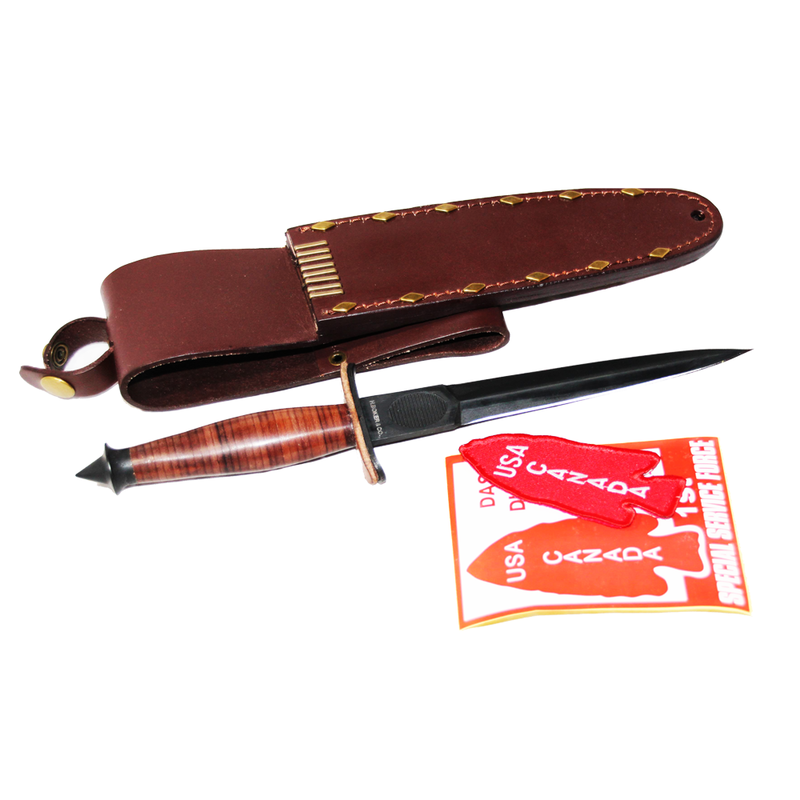 Own a 1:1 reproduction of their famous V-42 Stiletto, designed by Lt. Colonel R.T Frederick, and issued almost exclusively to the commandos of the Devil's Brigade. 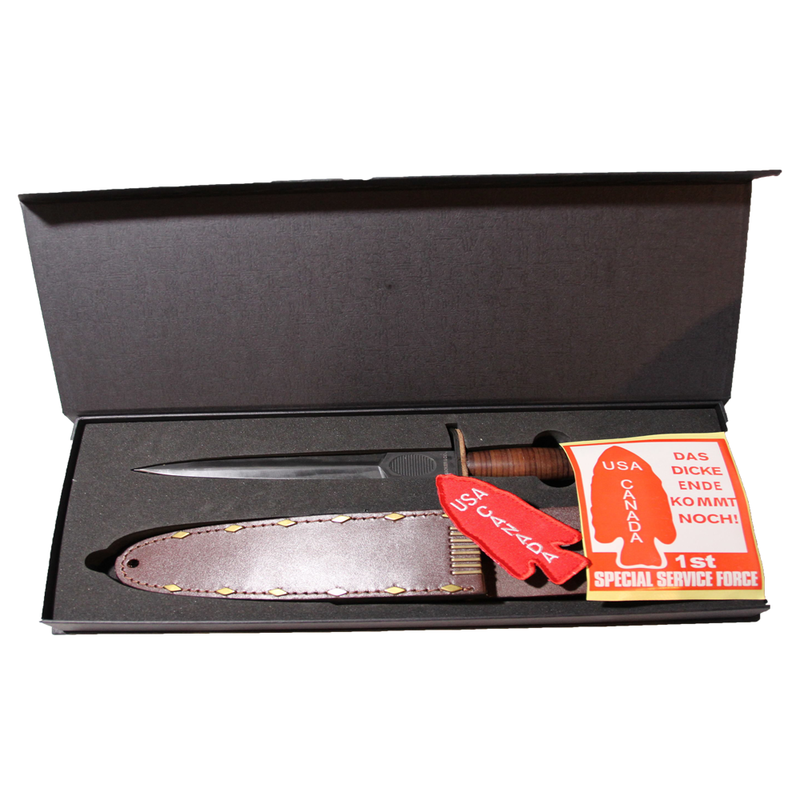 A true collectors piece made with incredible attention to detail of the original, the presentation box includes a Devil's Brigade reproduction patch, a sticker of their wartime "calling card" and the accurate smock-length sheathe in addition to the knife itself. Note: Please check with your local jurisdiction on legislation in regards for edged weapons, Fireforce Ventures is not liable for any customs issues for international orders.